Forget advertising campaigns with no plot, theme or script. Kenzo has just changed the game of how to tease an upcoming collection. Much like the Fall/winter collection of 2015, the brand used a short film to showcase the spring/summer 2016 line. Enlisting the help of Sean Barker who directed Tangerine, the designers Humberto Leon and Carol Lim showed off an enigmatic 11-minute video earlier this month in Los Angeles. Titled “Snowbird”, the short film sees the audience follow Abbey Lee of Mad Max as she shares a cake with her neighbors in a desert trailer park. Of course, since this is not a movie but a chance for the brand to show off its collection, the lead character is decked out in Kenzo throughout the film. Some of the actors are in fact residents of the community while others are professionals. We wouldn’t want to ruin the movie so we won’t delve further into the plot but it is impressive what the filmmaker has done on just a simple iPhone. Dubbed a fashion film, “Snowbird” seems to have been on the minds of both the designers and the director from the very beginning. The designers feel that rather disconnecting from the world of fashion and glamour, the film simply makes up one part of the whole collection. Like a jigsaw puzzle, the film helps to explain the inspiration behind the collection. Even the music was something made specifically for the film. Stephonik Youth, the filmmaker’s sister, wrote the original pieces that could easily pass for a dynamic release you could enjoy on Spotify. The men’s fall 2016 collection was unveiled earlier in January while the women’s collection, will be showcased at Paris Fashion Week in March. This entry was posted in Fashion and tagged Fall/Winter 2016, Fashion Week, Kenzo, Los Angeles, Paris, Snowbird, Spring/Summer 2016 on February 18, 2016 by Vimi Haridasan. Fashion designer Stella McCartney turned the record store Amoeba Music in Los Angeles into a gigantic nightclub for her eponymous label’s Fall 2016 presentation January 12. Throughout the show, the sounds of David Bowie rang out in tribute to the late great and some of the biggest names in Tinseltown rubbed shoulders among aisles of CDs. Actress Gwyneth Paltrow (causing fashion ripples with a pair of eye-catching blue bootsies) and pop star Katy Perry headlined the A-listers who turned out for the presentation of Stella McCartney’s Fall 2016 collection Tuesday in the heart of Hollywood. Actresses Kate Hudson and Melanie Griffith, and British singer-songwriter Kelly Osbourne, were also in attendance, as was Kiernan Shipka, of Mad Men fame. And there was Ringo Starr, the former Beatle, too. “We just want to have some fun, celebrate fashion and music,” said McCartney, 44. “This collection is about what do we really need in our wardrobe, what do we wear for glamour, or for the daily routines of life, and how do we mix them,” the Briton told AFP. Touching on her decision to choose Los Angeles for the occasion – a notable departure from New York or Paris – she added: “It’s an interesting part of the world because it has this laid-back culture, there’s this climate, but it has a lot of art. This entry was posted in Fashion and tagged Fall/Winter 2016, Los Angeles, Stella McCartney on January 14, 2016 by AFPRelaxnews. From the highly anticipated opening of a Toy Story-themed hotel at Shanghai Disney, to the grand reopening of two iconic Parisian landmarks, 2016 will be a big year for the luxury hotel market. While tens of thousands of new properties will open their doors for the first time in 2016, here is a selection of properties that are noteworthy for raising the bar in luxury, marking a milestone, or helping to transform the local tourism landscape. In the last few years, Paris saw the temporary shuttering of two of its most iconic and luxurious hotels, the Ritz Paris and Hotel Crillon. This year, they will compete for attention as both are slated to re-open their doors after extensive and lengthy renovations. The hotel has been undergoing renovations since July 2012 – the biggest makeover in the hotel’s 117 year-old history. The refurbishment includes a new spa by luxury fashion brand Chanel, called “Chanel au Ritz Paris.” The hotel began accepting reservations for stays starting March 14, 2016. 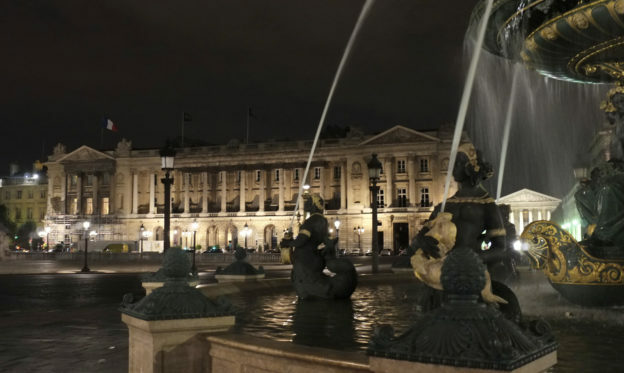 With a history dating back to 1758, the Hotel Crillon (pictured above) is a veritable institution in Paris, located at Place de la Concorde where the Champs-Elysees begins. In 2013, it was announced that Rosewood Hotels & Resorts would take over the management of the property. The restoration will entail a contemporary overhaul led by Lebanese artistic director Aline d’Amman and architect Richard Martinet. It was also announced that Karl Lagerfeld has been commissioned to design two suites. An exact opening date has yet to be disclosed. 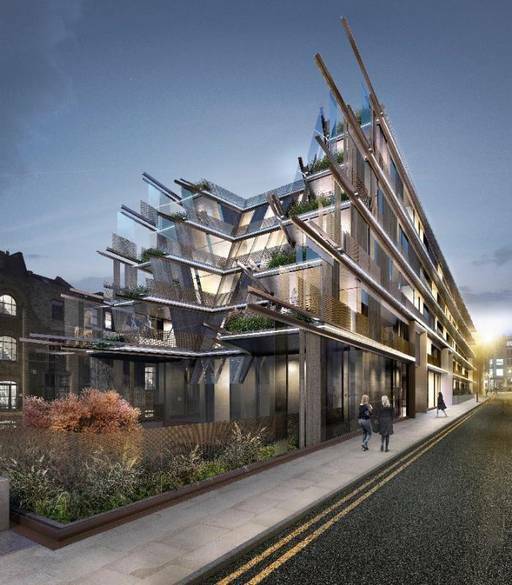 Nobu Hospitality (pictured below), co-owned by Japanese chef Nobu Matsuhisa and actor Robert De Niro, has announced plans to open its first European hotel in London’s trendy Shoreditch area in 2016. Expected to open in the first quarter of the year, the hotel’s five storeys are fractured into angular balconies and cantilevered steel beams using printed layered, glass and reflective facades to play with reflection and light. The hotel will be comprised of 156 rooms while the dining options will be helmed by chef Matsuhisa. This five-star boutique hotel will be the sister establishment of the luxurious Le Sereno Saint Barths. 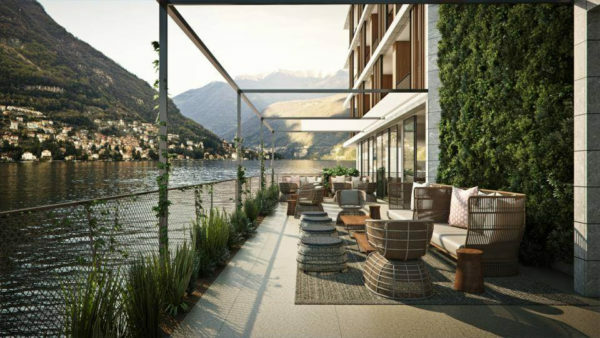 Located 6 km from the center of Como and 50 minutes from Milan, the design of the new 30-room hotel has been overseen by Patricia Urquiola, who has focused on natural materials to create an aesthetic that is both timeless and full of character, intimate and casual. Urquiola’s studio will also design the interior of the ferry that will shuttle guests around the lake. Room rates will range from 600 to 4500 euros. Located 20 minutes from the city center, the luxurious property is built within 25 acres of citrus orchards and ancient olive groves. Each villa and suite comes with a private pool and views of the Atlas mountains, while rooms are spacious, modern and feature handcrafted Moroccan design features. The brand’s signature spa is built on a private island on a lake within the orchard, and offers Ayurvedic and Moroccan-inspired treatments. Facilities also include Moroccan hammams, yoga studio and outdoor pavilion. Billed as the little sister to its flagship New York property in Midtown, the second Four Seasons hotel will open in the Tribeca district, a short stroll from the new World Trade Center, Wall Street and the Soho neighborhood and serve as a dual residential and hotel property. The 185 rooms are designed by Yabu Pushelberg. Dining will be provided by Wolfgang Puck and his CUT steakhouse restaurant and bar. Once construction is complete in 2016, The James Hotel will open the doors to the first new ground-up hotel in West Hollywood in 30 years. The boutique property will open in the heart of Sunset Strip at the corner of Sunset and La Cienega Boulevards, and house 286 rooms, two restaurants and a rooftop and lobby bar. The LA location will be the third for the brand after locations in Chicago and New York. The brand’s philosophy embraces wellness, sustainability, local art and culture. Located in the heart of the new Central Business District, the opening of the Four Seasons Hotel Abu Dhabi at Al Maryah Island will mark the first hotel for the chain in the Emirati capital. The property will open along a stretch of prime waterfront, and house a retro-modern Chicago steakhouse, cocktail bar, and poolside restaurant. Along with 200 rooms, the property will also feature 124 private and serviced residences. Organized as two towers, the St. Regis will house 292 lavish rooms that includes 63 suites. The mixed use property will also offer 99 guest apartments and 117 residences. Located on the north end of Corniche Road, rooms will offer views of the Nile River and in proximity to the pyramids and retail area. Originally scheduled to open in March 2016, the ambitious Wynn Palace Cotai will be delayed by another three months for a set date of June 25. The $4.1 billion, floral-themed property features 1,700 rooms spanning 28 storeys, and an artificial lake. To enter the grounds, guests will board air-conditioned SkyCabs that cross the 8-acre Performance Lake into the heart of the resort. Like its predecessors, the Wynn Palace will house an opulent spa, salon, luxury retailers and gourmet dining restaurants. Located on the southern Bukit peninsula, the luxury hotel group’s newest property will be built on elevated terraces to offer commanding views of the Indian Ocean. The resort will be comprised of 97 villas, each with a private pool and 24 guestrooms. 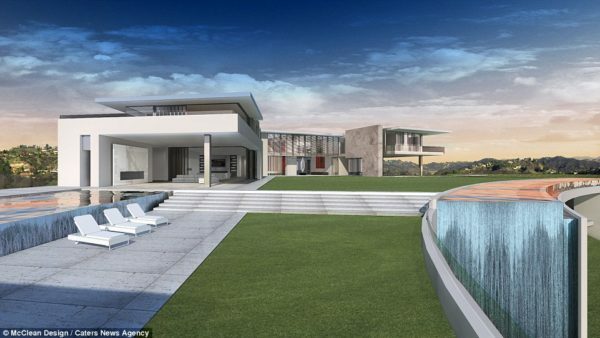 The signature restaurant will be a cliff-top, cantilevered dining space with sweeping ocean views. Guests will also be able to indulge in luxurious spa services that include Balinese treatments. After experiencing construction delays, the opening of Disney’s third theme park in Asia after Hong Kong and Tokyo is expected to open its pearly gates in spring. 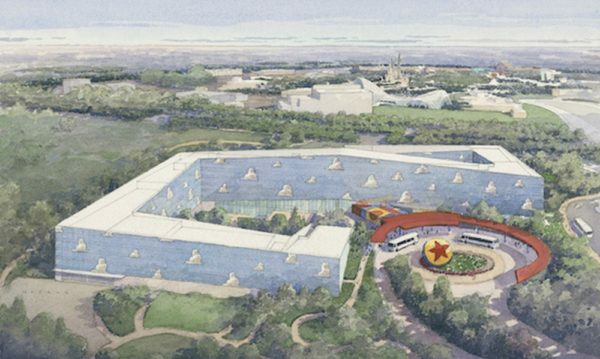 When it does, the park will also open the doors to two highly anticipated themed hotels, The Shanghai Disneyland Hotel and a Toy Story Hotel. Not particularly encouraging is the image supplied for this story but we digress! At the Art Nouveau-inspired Shanghai Disneyland Hotel, guests will be greeted by bronze statues of Mickey and Minnie Mouse, while Toy Story fans will find Woody and Buzz Lightyear at the hotel courtyard. To open on Emerald Bay in Western Phuket, the luxury property will be comprised of 80 villas and 32 residences that are designed to blend in with its natural hillside forest surroundings. Retractable glass walls will provide guests with unobstructed views of their environment, while garden rooftops and cantilevered structures will help the villas meld with the landscape. Dining options include a rustic Thai seafood eatery on the beach, poolside eatery, bistro and terrace bar, while a Sense spa will feature six spa villas and a swimming pool. This entry was posted in Hotels and tagged Abu Dhabi, Asia, Bali, China, four seasons, hotel openings, Hôtel Ritz Paris, London, London luxury hotels, Los Angeles, luxury hotel, Luxury Hotels Paris, mandarin oriental, New York City, Oberoi Hotel, Paris, Phuket, St Regis Hotel on December 23, 2015 by AFPRelaxnews. Los Angeles International Airport officials have approved opening a special terminal for the rich and famous to wait for their flights far from the paparazzi and riffraff. Some have dubbed this a terminal for the 1% of society because the barrier to entry is the expense, not any measure of fame. “We are very focused on making LAX a world-class airport and offering a wide variety of amenities,” Flint said in an e-mail to AFP. Similar areas already exist however in London, Amsterdam, Istanbul, Dubai, Paris, Moscow, Munich, Frankfurt, Geneva, Madrid and Zurich, according to a project proposal. The terminal will be constructed in a hangar already in need of renovation, and requires an investment of some US$3 million (2.8 million euros) by security firm Gavin de Becker, which will manage the project. Celebrities, business executives and other well-heeled individuals can expect to pay US$1,500 to US$1,800 to access the space, according to US media. This entry was posted in Billionaires and tagged airlines, Los Angeles, luxury aircraft on November 22, 2015 by AFPRelaxnews. 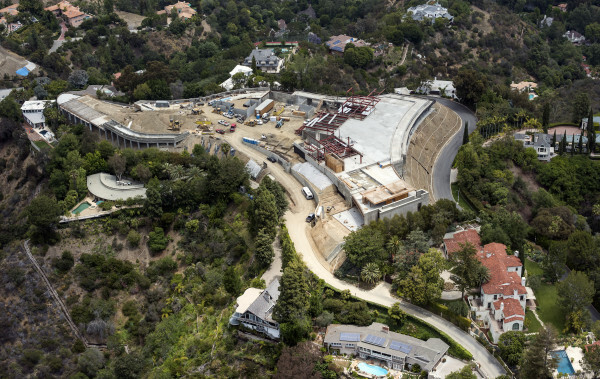 One of the biggest homes in US history is rising on a Los Angeles hilltop, and the developer hopes to sell it for a record $500 million. The 100,000 sq ft residence will be twice as big as the White House and feature a 5,000 sq ft master bedroom, 30-car garage and 45-seat cinema. It will also have a personal nightclub and casino, and a “jelly fish room” with water-filled tanks on three walls. There will also be four swimming pools including a 180ft long infinity pool, and a 20,000 sq ft lawn which. It is being built by Nile Niami, the Hollywood producer turned property developer behind films including action-thriller The Patriot. This entry was posted in Luxury Homes and tagged Los Angeles, luxury home, luxury property, mansion on June 6, 2015 by AFPRelaxnews. A Hancock Park estate belonging to actors Melanie Griffith and Antonio Banderas is going on the market for $16.1 million. The couple bought the house for $4.2 million in 1999 and the following year added an adjacent lot for $1.3 million, according to the WSJ. They tore down the home on the second lot and combined the two lots to create an acre-and-a-half property with expansive lawns, an organic garden, pool and rose gardens. The 15,000-square-foot Italian revival home was built by architect Gordon B. Kaufmann, who is best known for his design of the Hoover Dam. The three-story house has 13 bedrooms and 11 bathrooms, according to public records. 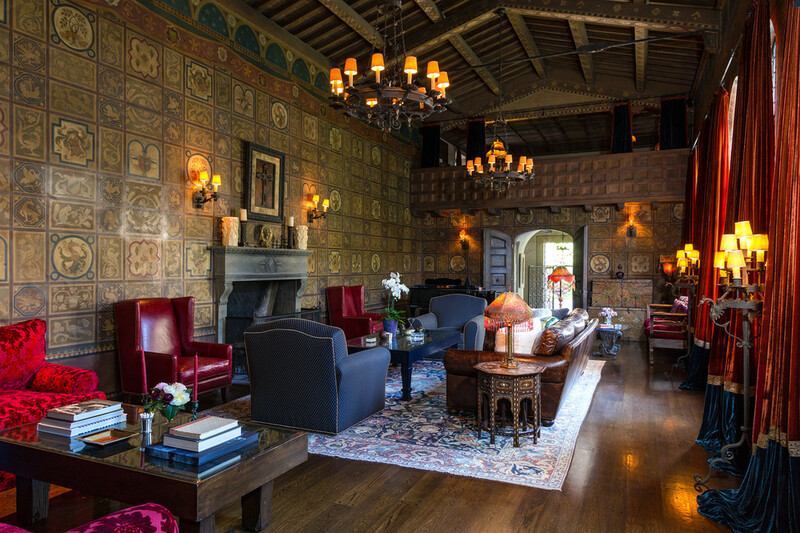 It has a two-story banquet hall, a dining room with hand-stenciled ceilings, a library, four fireplaces and an elevator. The celebrity couple is in the process of finalizing their divorce after an 18-year marriage. 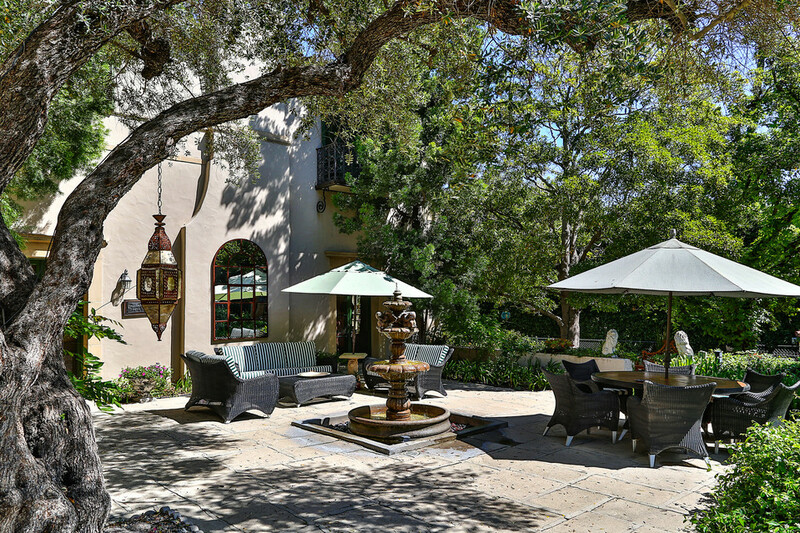 This entry was posted in Luxury Homes and tagged Antonio Banderas, Los Angeles, luxury home on May 5, 2015 by Anakin. 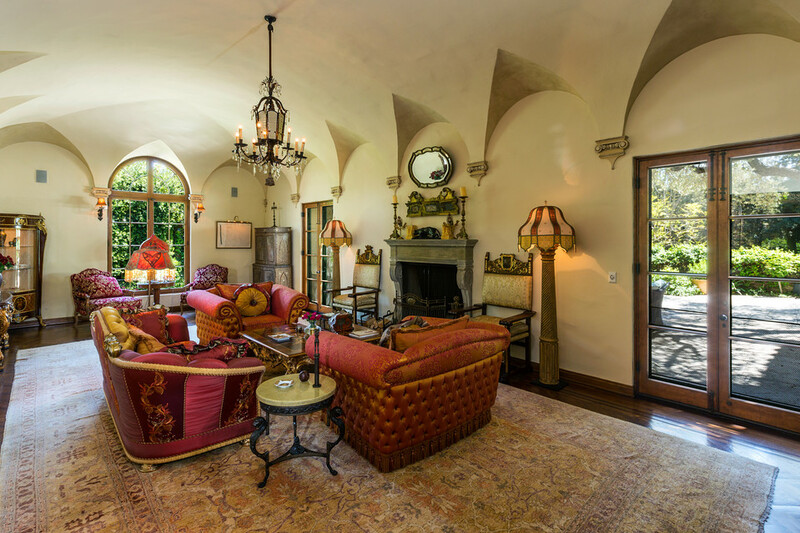 The Wall Street Journal reports that Liongate, a gorgeous Bel-Air estate formerly owned by country singer Kenny Rogers, has sold for $50 million. The newly renovated Bel Air estate has around 24,000 square feet of space, with 11 bedrooms and 17 bathrooms. It was most recently listed last December for $65 million. The sale price included furniture and art. The current owner spent several years renovating it, enlarging it from 9,359 square feet and adding a guesthouse. The house has a ballroom with a separate entrance and bar, a billiards room, a 12-seat home theater, a massage room and a temperature-controlled wine room. Outside, a glass elevator next to the pool provides access to a tennis court and a gym. 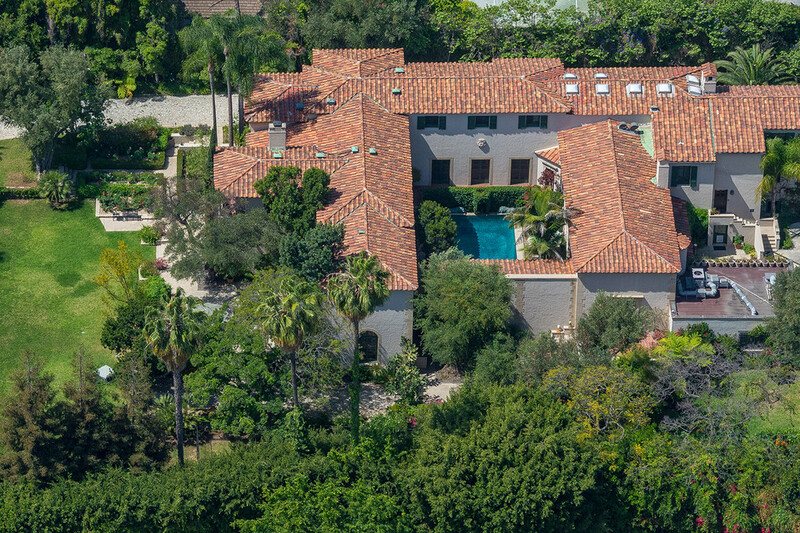 Mia Trudeau of Hilton & Hyland, an affiliate of Christie’s International Real Estate, was the listing agent. 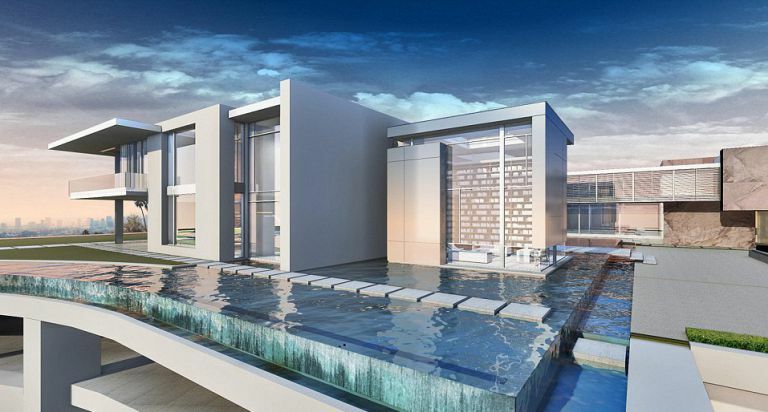 This entry was posted in Luxury Homes and tagged Los Angeles, luxury home, mansion on April 9, 2015 by AFPRelaxnews. French fashion house Christian Dior will be bringing its Resort show to Los Angeles, continuing the current trend for peripatetic luxury spectacles. Get set for a star-studded list of attendees: Oscar-winning Los Angles-based actresses Jennifer Lawrence and Charlize Theron are both brand representatives for Dior’s clothing, accessories and fragrance lines. Last year’s resort show took place at the Brooklyn Naval Yard in New York City, while the recent Pre-Fall 2015 collection was shown off in Tokyo with a special show inside a sumo arena. Other labels taking their shows abroad include Chanel who held its Métiers d’Art show in Salzburg in December. This entry was posted in Events and tagged Christian Dior, Dior, fashion show, Los Angeles on February 6, 2015 by AFPRelaxnews. BURBERRY takes its now pretty classic Art of the Trench project to Tinseltown to celebrate the launch of its latest boutique in Los Angeles. Soundtracked by “Ribbon,” performed by Billie Marten, watch out for stylish faces from editor Joe Zee to actress Ashley Madekwe taking the rainy day staple out in the California sunshine. This entry was posted in Events and tagged burberry, Los Angeles, short film, video on November 29, 2014 by AFPRelaxnews. 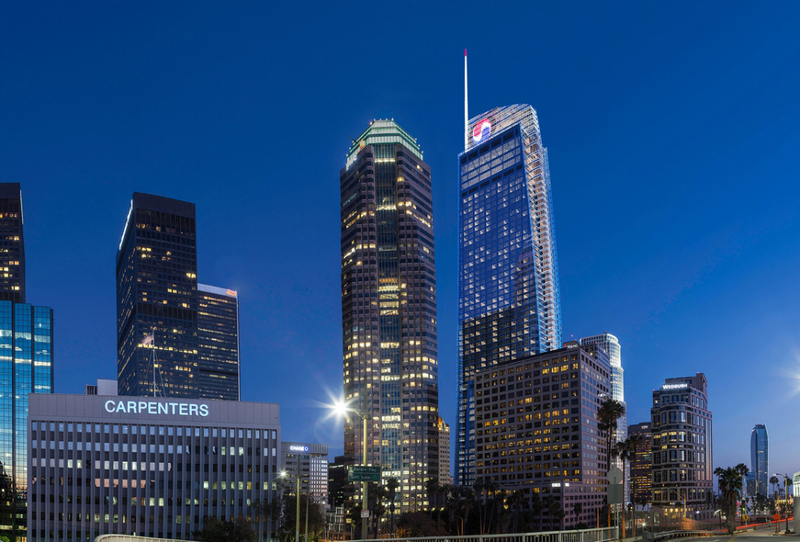 A new 73-storey, 900-room hotel is being planned for Los Angeles that will open in 2017 and upon completion, mark the INTERCONTINENTAL Hotels Group’s largest hotel in the Americas. 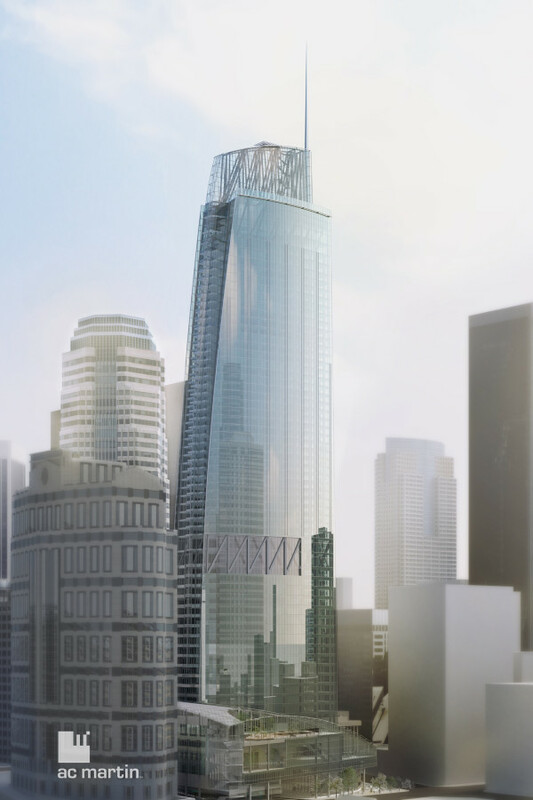 At 1,100-feet-tall (335 meters), the luxury hotel project at the Wilshire Grand Center is poised to become a landmark on the city skyline, and the tallest building on the US west coast, providing 360-degree views of LA. The development is in collaboration with Korean Air and the Hanjin Group, and will also mark the airline’s first hotel in the US. The property will also be the first in the western US to boast a sky-lobby on the 70th floor — a feature in skyscrapers that serve as transfer points for quicker elevator access. Drawings for the property call for natural wood and warm colors to reflect the city’s beach culture, while the sky lobby will reflect the city’s car culture by incorporating car lines in the paneling and decor. The IHG portfolio includes hotel brands like CROWNE PLAZA Hotels & Resorts and the Holiday Inn. 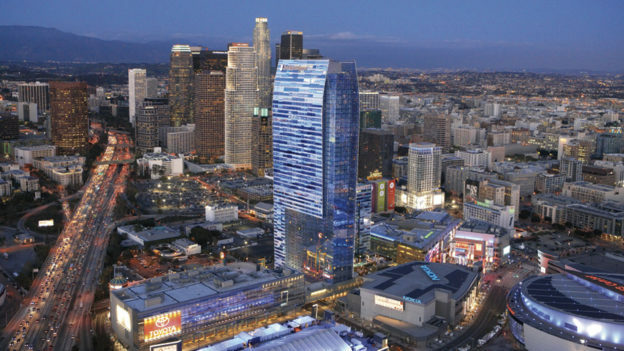 This entry was posted in Hotels and tagged hotel openings, Hotels, Intercontinental, Los Angeles, skyscraper on September 27, 2014 by AFPRelaxnews. The Ritz-Carlton in Los Angeles has created a luxury weekend package that will give guests and music fans behind-the-scenes access to the American Music Awards show in November and the chance to walk the red carpet with their favorite artists. The 2013 American Music Awards Ultimate VIP Weekend Package includes tours of the show production and preparations before the ceremony and tickets to the event the day after. Guests will also get access to pre-show and post-show parties where they can rub shoulders with some of the biggest names in the music industry. The $15,000 weekend package also comes with a three-night stay in suite accommodations and champagne-soaked spa treatments that will help guests get red carpet-ready with manicures, pedicures, hair and makeup by a stylist to the stars. 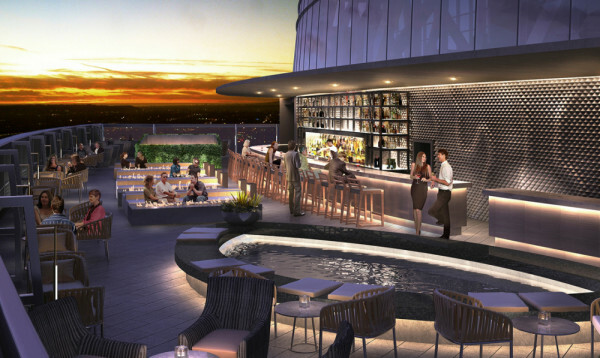 Guests will also dine at WP24, chef Wolfgang Puck’s Chinese restaurant. Rates for the Ritz-Carlton package are based on double occupancy for a minimum of three nights. This entry was posted in Hotels and tagged Hotels, Los Angeles, Ritz carlton on September 24, 2013 by AFPRelaxnews. A Los Angeles restaurant is making waves for announcing plans to launch a 23-page water menu that will serve 20 “varietals” of water as well as an H20 “tasting menu” for $12. 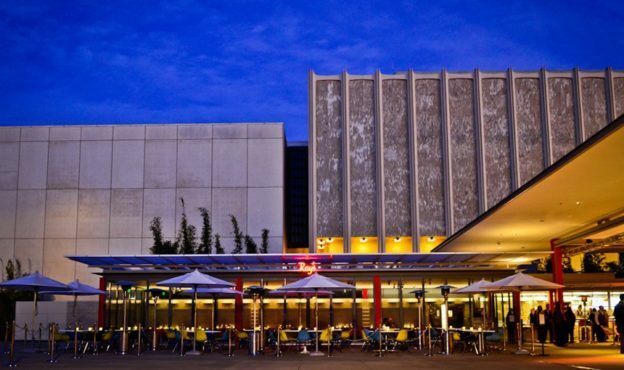 Starting next week, Ray’s & Stark Bar at the Los Angeles County Museum of Art will serve up a separate booklet menu that features premium bottled waters from 10 countries accompanied by lengthy descriptions akin to tasting notes of fine wines. What could you possibly need to know about water? Apparently, notes include everything from mineral content and the “terroir” of the water’s source. It’s a concept developed by the same “water sommelier” who created a luxury bottled water pitched as the “champagne of water”earlier this year. Sourced from the mountain springs of northern California, Beverly Hills 90H20 claims to be ideal pairing for fine foods and wines for its “silky smooth” taste. 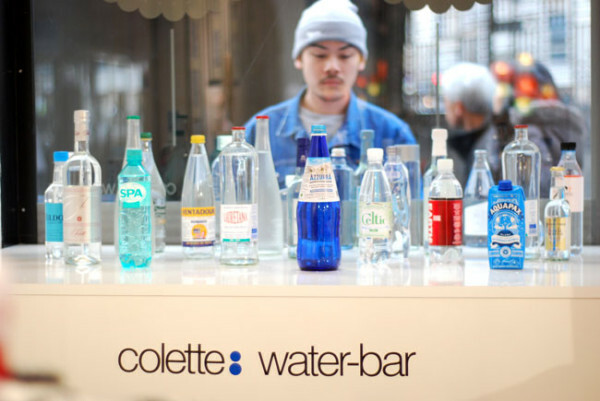 At the LA eatery, the water menu will include mainstream premium brands like Fiji, San Pellegrino and Evian, along with domestic mineral waters sourced from the US. But just as restaurants significantly mark up the prices of wine, Ray’s has also marked up the prices of grocery-store water brands. A 750ml bottle of Evian, for instance, is priced at $8 while a 750 ml bottle of Perrier goes for $9. The restaurant also proposes a water tasting menu for $12. One of the best known and most cultish water bars in the world, meanwhile, is Parisian fashion destination Colette, where the basement offers an extensive water menu divided into still and sparkling offerings and likewise spanning the world. This entry was posted in Gastronomy and tagged Los Angeles, Luxury Water, most expensive water, Restaurant, spring water on August 15, 2013 by AFPRelaxnews. 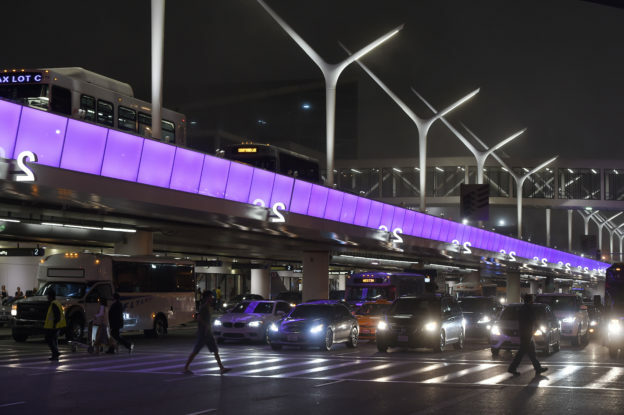 With more than 2 million Facebook check-ins, the Los Angeles Airport has emerged as the place people like to brag about passing through the most, according to SocialBakers. Other places people liked to crow about checking into included Disneyland and Times Square in New York, while it seems that residents in Pennsylania and West Virginia seem to particularly enjoy telling their friends when they’ve arrived home. For the complete list, visit www.socialbakers.com. This entry was posted in Travel and tagged Airport, Los Angeles, TOP 10 on August 14, 2013 by AFPRelaxnews. When the Los Angeles International Airport opens its newly renovated terminal in August, passengers will travel through one of the most technologically advanced and splashiest airports in North America. During a recent preview of the Tom Bradley International Terminal, 10,000 Angelenos got a taste of the $1.9 billion overhaul which includes interactive multimedia experiences splashed on giant LCD screens, monumental art installations, fine dining restaurants helmed by local celebrity chefs like Michael Voltaggio and Suzanne Goin, and strips of luxury retail shops inspired by Rodeo Drive. The new terminal was designed by Fentress Architects, the same firm behind the multi award-winning Incheon International Airport in South Korea. 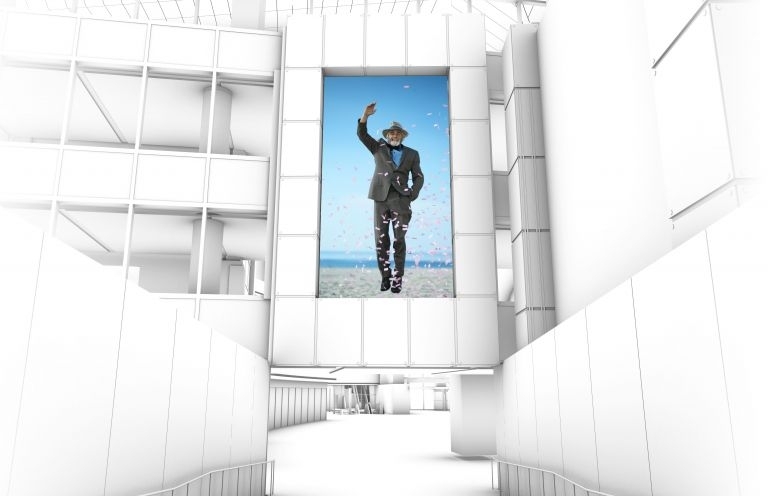 Greeting inbound passengers arriving at LAX will be a giant 80-foot tall Welcome Wall created to ‘refresh’ tired passengers’ senses with visual displays of flowing cloudscapes and the LA shoreline. 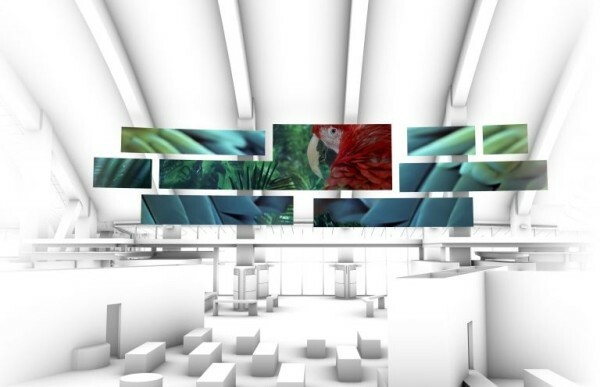 In the Great Hall, a Story Board measuring 120 feet (37 meters) will feature a variety of ‘ambient narratives’ including visuals that take passengers on virtual tours through destination cities, panoramic images of Los Angeles and evocative still images of nature. 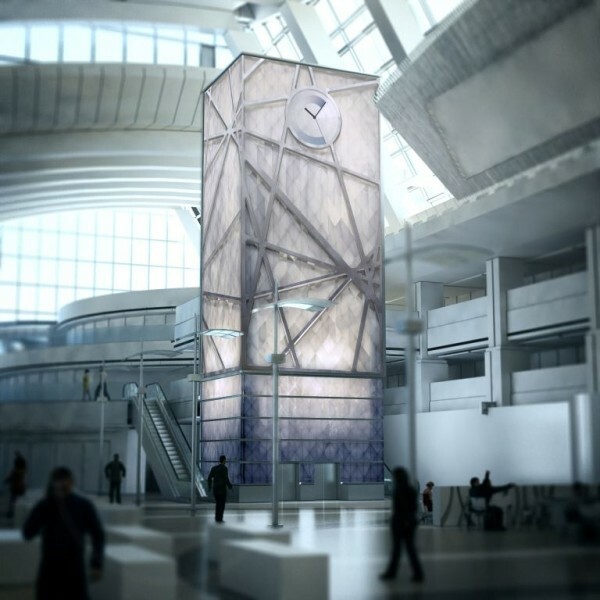 The centerpiece of the terminal, meanwhile, will be the 72-foot (22-meter) tall digital Time Tower, an interactive motion-sensitive structure that reacts to passenger movements. Though designed to tell time as a world clock, it’s also meant to “reveal time” as part of the travel experience. The newly renovated terminal will also offer passengers substantially more dining and retail options than its previous incarnation. 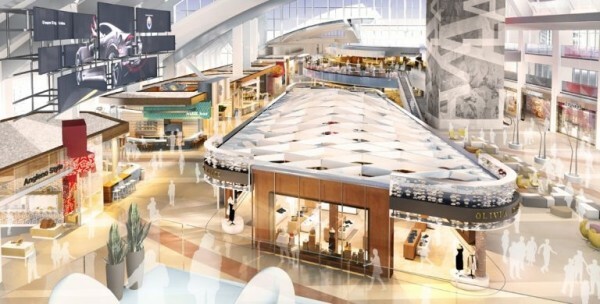 With 31 dining outlets — three times more than before — the new terminal will provide a mix of local and global flavors including gourmet sandwich creations by LA celebrity Michael Voltaggio (winner of US reality TV series “Top Chef”) and and James Beard Award winner Suzanne Goin. High flyers can also sip on bubbly and nibble on caviar at a new champagne bar. 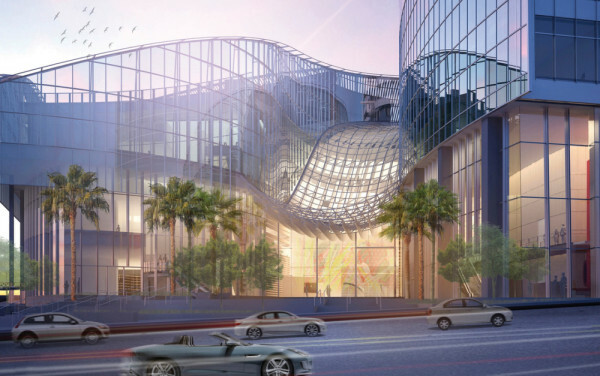 And in a nod to one of the most famous shopping strips in the US, Rodeo Drive, the new terminal is also billed as a premier retail destination, with 36 outlets including LA brands like Fred Segal and Kitson. 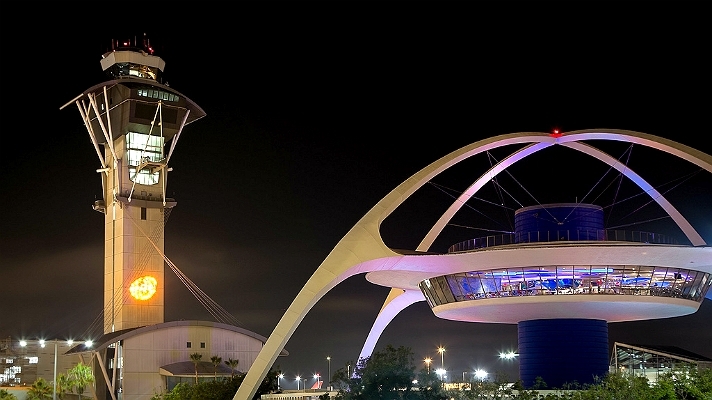 This entry was posted in Travel and tagged Airport, Architecture, Los Angeles on June 29, 2013 by AFPRelaxnews. 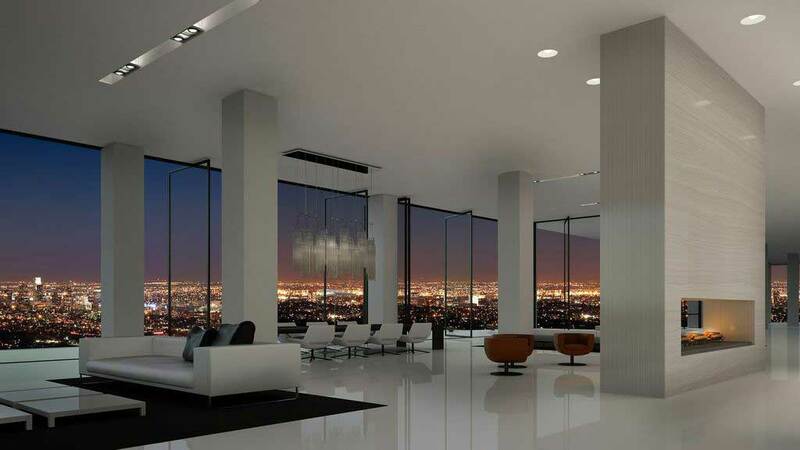 The 15th-floor penthouse at the Residences at W Hollywood in Los Angeles is on the market for $45 million. The 25,000 sq. ft. penthouse has four bedrooms, eight bathrooms and 340-degree views of the Hollywood Hills, downtown Los Angeles, Century City and the ocean. It includes a ballroom that can fit 250 people, a wine room and wine vault, a screening room with LCD projection, a solarium, a gallery and a pub-style tap room. The nearly 4,000-square-foot master suite has a fireplace, entry foyer and oversize walk-in closet and dressing room designed to look like a Ralph Lauren store, says Richard Robertson III, the apartment’s architect. The unit also includes a fitness center with an attached beauty parlor, a library, 17 valet parking spaces and a reception area with separate women’s and men’s powder rooms. Mr. Robertson says he designed the space, which is still raw, to emulate the golden era of Hollywood with a streamlined Art Deco look. The owner can work with Mr. Robertson and interior designer Sue Firestone to customize the penthouse or bring in his or her own designer. Sixty percent of the 143 units in the W Hollywood residences, which range in price from $800,000 to $3 million, are sold as of early May. 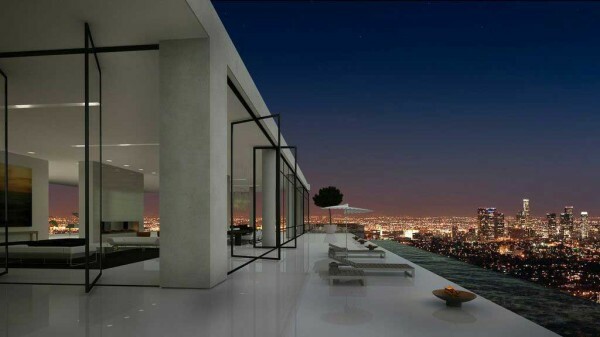 This entry was posted in Luxury Homes and tagged Architecture, Los Angeles, luxury apartments, penthouse, w hotels on May 17, 2013 by Luxuo. 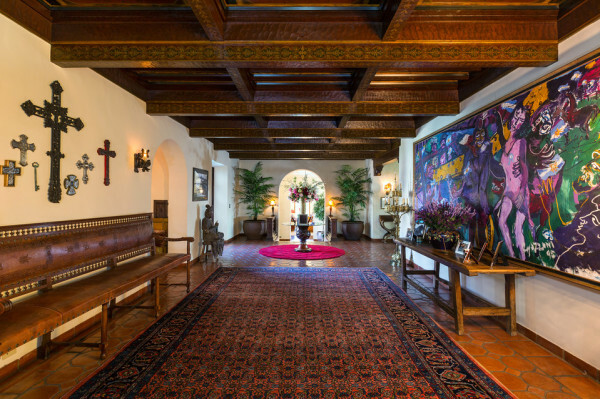 The plush Los Angeles mansion where Michael Jackson died is on sale for $23.9 million, and a major celebrity is interested in buying it. 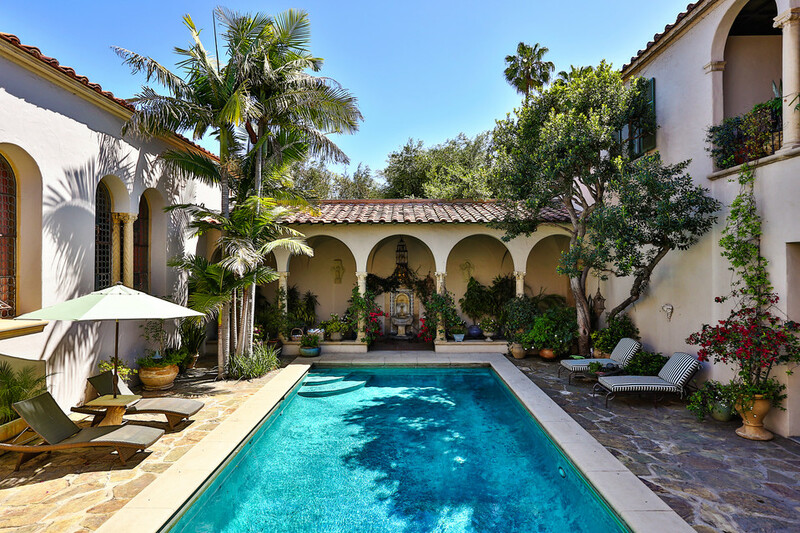 This entry was posted in Luxury Homes and tagged Los Angeles, luxury home, luxury property, Luxury Real Estate, mansion, Michael Jackson on March 24, 2012 by AFPRelaxnews. 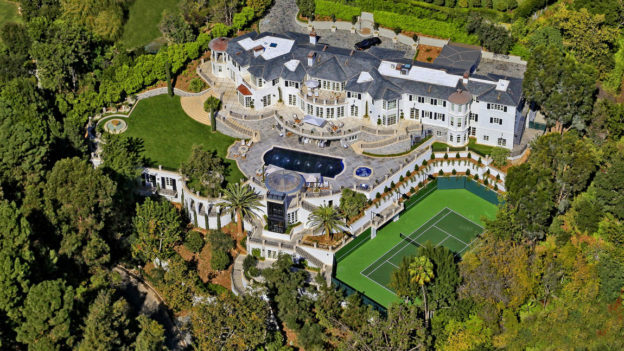 A California mansion could become the most expensive US property to be sold at auction when it goes on the block next month with a starting bid of $22 million. The 10,500 square-foot beachside house — originally listed at $65 million — includes six bedrooms, nine and a half bathrooms, a theater, a 75-foot (25-meter) two-lane lap pool, a gymnasium and a library with an aquarium. The winning bidder would count Tom Hanks, Barbra Streisand and Sting as neighbors after moving into “Billionaire Beach,” part of the upscale coastal town of Malibu, near Los Angeles. This entry was posted in Luxury Homes and tagged billionaire, california, Los Angeles, luxury home, luxury property, mansion, most expensive properties, most expensive villa on August 10, 2011 by AFPRelaxnews. The 57,000-square foot Los Angeles mansion built by the late TV producer Aaron Spelling has sold to 22-year-old Formula One heiress Petra Ecclestone. 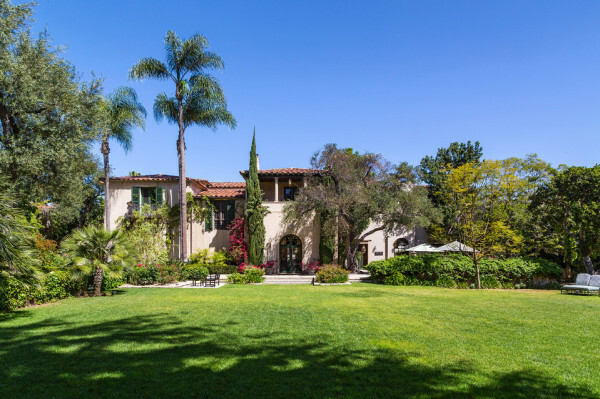 The home on five acres of property in Holmby Hills has a bowling alley, beauty salon, several gift-wrapping rooms and parking for 100 cars. 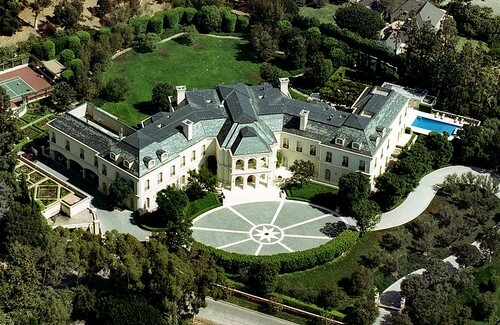 The French chateau-style Spelling mansion, dubbed “The Manor,” had a list price of $150 million. The sales price was not disclosed. This entry was posted in F1, Luxury Homes and tagged california, Los Angeles, luxury home, luxury property, mansion, Petra Ecclestone on June 15, 2011 by Luxuo. Louis Vuitton has opened its 137th North American store and first one on the westside of Los Angeles in the newly renovated Santa Monica Place mall. Located in a prominent corner of the ground floor the design boasts a beautifully sweeping curved glass storefront and hardwood floors. This entry was posted in Events and tagged Los Angeles, Louis Vuitton, luxury store on August 16, 2010 by Anakin. 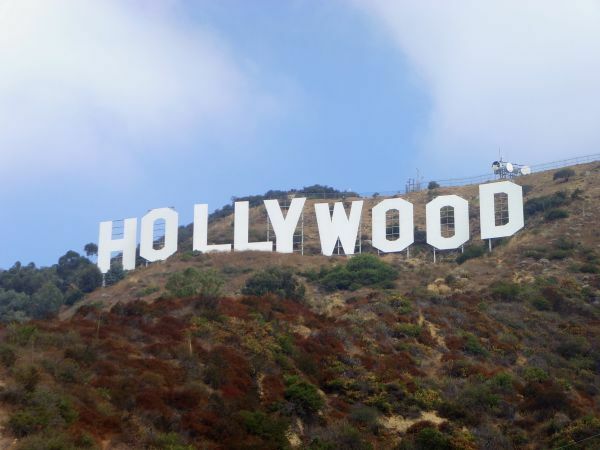 Tom Hanks and Steven Spielberg are among the Hollywood royalty trying to save the landmark Hollywood sign from encroaching developers poised to erect four mansions or a hotel next to the 45-foot tall “H” letter in the Hollywood hillside. Falling short one million dollars by the deadline spells trouble for a grassroots campaign to preserve the surrounding land. The so-called McMansions would enjoy spectacular vistas of Los Angeles but the construction would ruin the popular view of tourists and other problems. 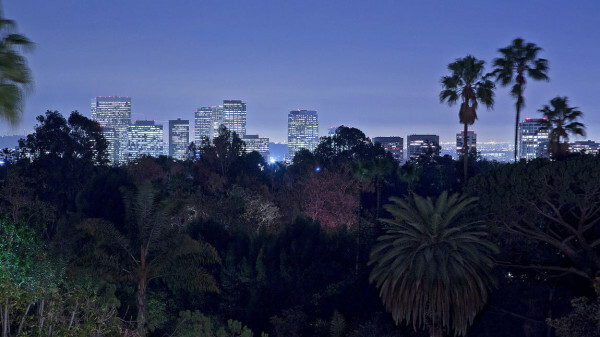 Film studios and Los Angeles residents have contributed to the $11 million raised to purchase the endangered 138 acres. This entry was posted in Luxury Homes and tagged california, hollywood, Los Angeles, real estate on April 16, 2010 by Anakin.